From September 9 through October 4, Dr. Michael Finkelstein and Robin Queen will open their Bedford, NY, skillful living center, Transcendence at SunRaven, for a series of open houses. The events will allow guests to sample programs for free and learn about the season’s offerings. New this season is the Couples Skillful Relationship Program, a six-part series designed to help couples rekindle the fire that sparked their relationship and reconnect on a deeper level. Following the success of last season’s Women’s Wisdom Group, Queen will be offering a second weekly series, asking those who are interested to contact her and specify good days and times for the new series. 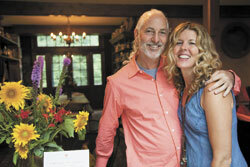 The next Group Juice Fast at Transcendence at SunRaven, a very popular program, will begin on October 3. Transcendence at SunRaven is located at 501 Guard Hill Road in Bedford, NY. 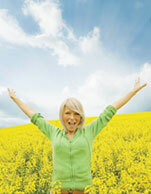 For a full listing of open house events, programs and a downloadable brochure, visit TranscendenceAtSunraven.com. Over 40 Females™, a nationwide online networking company, relaunches its Putnam County Chapter on Thursday, September 12 at Ramiro’s 954 restaurant in Mahopac, NY. 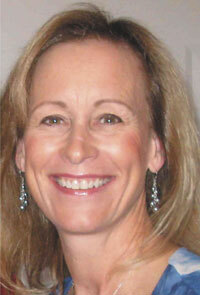 The Putnam County Chapter will be run by Chapter Director Leslie Barrick from Mahopac, NY. The free launch event begins at 6 p.m. and includes hors d’oeuvres, raffles, gift bags and a presentation by Suzen Pettit, founder of the online marketing company Omaginarium. 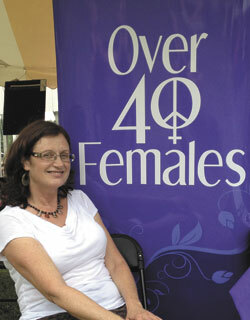 Over 40 Females was founded in January 2010 by Judy Goss, a former More magazine editor and spokesperson who traveled the country meeting hundreds of women over the age of 40 who wanted to be heard and celebrated. “I created the organization to give women a platform to be heard, to network and support each other, with the motto ‘Connect, Encourage and Inspire,’” says Gross. Gross says that Over 40 Females has gotten its members press attention, jobs, national speaking opportunities, scholarships, significant business connections, education, friendships and more than $100,000 in giveaways. Multiple chapters have been established nationwide, representing women everywhere who are joining this rapidly expanding group. Ramiro’s 954 is located at 954 Route 6 in Mahopac, NY. For more information and to RSVP for the event, visit Over40Females.com. 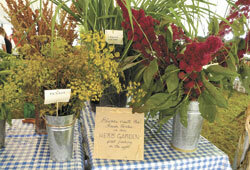 The 2013 Herb Fair takes place on Thursday, September 19, from 11 a.m. to 2 p.m. at the John Jay Homestead in Katonah. What began as a small herbal display and sale at a member’s private home in 1948 has grown into a popular annual event in the Homestead’s Herb Garden. The garden is divided into seven areas, including culinary, medicinal, and fragrant herbs, pest repellents, dye plants, shrub borders and ground covers. Herbs and herbal-related products will be sold at the fair, including tarragon mustard, beach plum jelly, baked goods, dried flower arrangements and wreaths, and flea-repellent dog collars. Gardening tools, weed bags and lanterns will also be for sale, and a Green Elephant table will feature pots, planters, candles and china dishes. Visitors can also browse a table with herbal and gardening books, magazines and cookbooks. A highlight of this year’s event is the Elderberry Table, where guests can learn about this 2013 Herb of the Year. Admission to the fair is free, and food and beverages will be on sale, along with the traditional lovage soup, a staple of the fair since 1948. The John Jay Homestead is located on Route 22 in Katonah. For more information and directions to the site, visit JohnJayHomestead.org or call 914.232.5651. Anne Bentzen, MSOT, RMT is an experienced occupational therapist and intuitive Reiki Master Teacher who assists clients in managing stress to improve their health and well-being. This fall Bentzen is offering a Reiki 1 class on September 28 and 29, followed by a Reiki 2 class on October 26 and 27, at the Unitarian Universalist Fellowship in Mt. Kisco, NY. 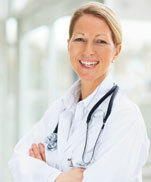 Bentzen also offers private healing sessions in Armonk, Eastchester and Cross River. To learn more and register for Reiki courses and healing circles visit Balancing4Life.com. The Unitarian Universalist Fellowship is located at 236 S. Bedford Rd., Rt. 172, in Mt. Kisco. For more information, call 914.588.4079. Eve-Marie Elkin, founder of Painting from the Inside out in Westchester, NY, offers monthly workshops and weekly classes that explore the creative process using paint. Elkin works under the premise that creativity is simply life pulsing through people, making it accessible to everyone. No painting skills are required to sign up for the fall classes, which begin September 18 in Tarrytown, NY. The next Painting from the Inside Out weekend workshop takes September 28 and 29. For more information, email evemarie@evemarieelkin.com or visit EveMarieElkin.com. Tina Bilotta hosts the Third Annual Fitness By The Beach Fundraiser for the NYU Comprehensive Stroke Center on Saturday, September 21, from 9 a.m. to noon at Rye Town Park and Oakland Beach. The event, created in memory of Bilotta’s mother, focuses on healthy living and features a yoga class with Joel Harper (famous for training TV’s Dr. Oz), Boot Camp by the Beach, Zumba and a Cross Fit Stealth class. In addition, Momentum will offer free fitness classes for kids, ages 8 to 15. Reservations are required for all classes. Fitness By The Beach also features vendors, a silent auction and healthy snacks. Admission to Fitness by the Beach is $65, payable by cash or checks at the event or by registering at FitnessbytheBeach.eventbrite.com. All proceeds will go directly to the Comprehensive Stroke Care Center at New York University’s Langone Medical Center, to support continuing stroke research. “We want to support efforts to prevent people from experiencing the devastating loss of loved ones to stroke,” says Bilotta. Rye Town Park and Oakland Beach are located at150 Dearborn Ave. in Rye. 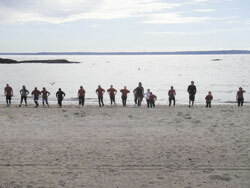 For more info, email fitnessbythebeach@yahoo.com or call 914.924.5145. Omega’s Where We Go From Here conference, to be held from October 4 to 6, brings together those at the forefront of whole-systems thinking. Presenters and participants include leading economists, environmentalists, philanthropists, designers, architects and activists, sharing insights for navigating the complex challenges facing humanity. The event features inspiring keynote talks, panel discussions, stories from the field and a tour of the award-winning Omega Center for Sustainable Living. Organizers say that participants will learn how individuals can play meaningful roles in promoting the well-being of all living things. The Where We Go From Here conference is open to concerned citizens, business leaders, educators, students, policy makers, builders and anyone seeking information and inspiration to take action in their corner of the world. 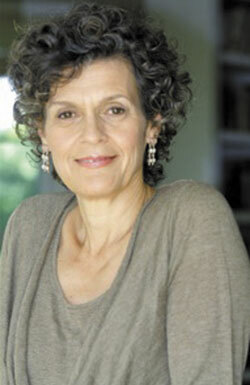 The Omega Institute is located at 150 Lake Drive in Rhinebeck, NY. For more information, visit eOmega.org/OCSL or call 800.944.1001. 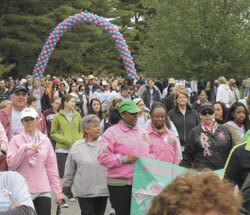 The 19th Annual Support-A-Walk for those fighting breast and ovarian cancer takes place on Sunday, October 6, at FDR Park in Yorktown Heights. The three-mile walkathon, presented by Support Connection, Inc., brings attention to the needs of people living with these life-altering diseases. Each year, thousands of people come together for this uplifting community event and many participants walk in honor of loved ones. Proceeds from the walkathon help to fund Support Connection’s free, confidential programs and services for people affected by breast and ovarian cancer, including a toll-free number providing information and support to people all over the country. Support Connection offers local programs throughout the Hudson Valley. Those who wish to help can collect donations and walk, form a walk team, raise funds online and spread the word about the event. Everyone is welcome to participate and make a difference in the lives of those with breast and ovarian cancer. Pre-walk activities begin at 9 a.m. and the walk begins at 10 a.m., rain or shine. Franklin D. Roosevelt State Park is located at 2957 Crompond Rd. in Yorktown Heights, NY. To learn more about Support-A-Walk and register or donate, visit SupportConnection.org or call 914.9626402. The Mankind Project (MKP), a not-for-profit men’s organization, brings its New Warrior Training Adventure (NWTA) to Cold Spring, NY, October 4 to 6. On a mission to “heal the planet one man at a time,” MKP has initiated more than 65,000 men worldwide through this flagship training program. Men who wish to register for the New York Metro NWTA can email Enrollment Coordinator Andras Bucsinszky at bucsinszky@yahoo.com or visit NWTA.MKP.org for more information. MKP is a brotherhood that supports men to “Wake up, grow up, and show up,” with gatherings every week in communities around the world. “The ripples from the work that these men are doing in groups and trainings has impacted hundreds of thousands of people and profoundly helped families and communities,” says Wilson, noting that two MKP members received Presidential “Champions of Change” awards last year for their work with veterans and children. To learn more about Mankind Project, visit MankindProject.org.